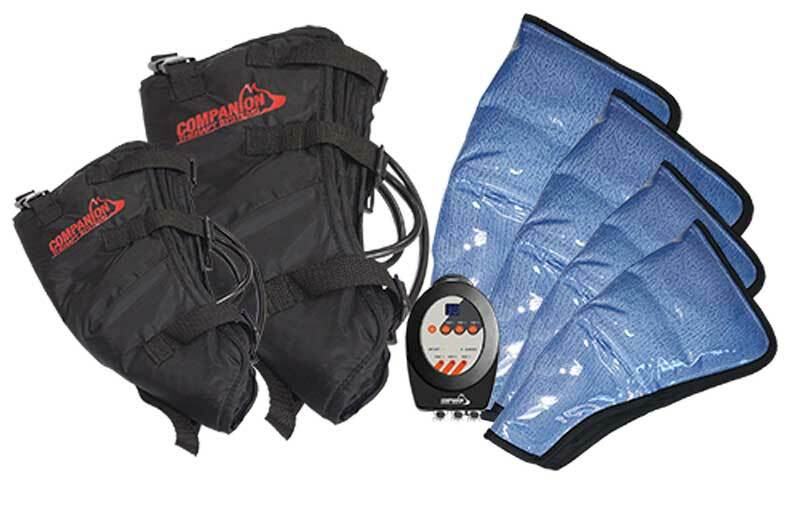 Companion Animal Health has announced the addition of cold and compressive therapy to their line of therapeutic technologies. The Companion Cold Compression system combines icing and intermittent compression in an easy-to-use device. A small, portable pump attaches to a joint wrap with a frozen gel pack to effectively reduce edema and inflammation in the joint. The pumping feature allows oxygenated blood to be moved into the area being treated to enhance healing and reduce swelling. Cold Compression is primarily used for post-surgical rehabilitation and to accelerate muscle recovery post-exercise. The addition of this product in Companion’s portfolio allows veterinarians to have a more consistent and versatile alternative to traditional icing techniques to help aid in recovery, according to the company.